TASHKENT, Uzbekistan -- Foreign Minister Mevlut Cavusoglu called Tuesday for humanitarian aid for Rohingya Muslims in Myanmar whom he described as living in “prison-like camps”. “Our brothers are living in extreme poverty. They cannot leave their villages,” Cavusoglu told the Organisation of Islamic Cooperation (OIC)’s Contact Group on Rohingya Muslims meeting in the Uzbekistan capital Tashkent. “The towns as well as the camps they are living in are like open prisons. They cannot leave; no one can go inside. Humanitarian aid cannot be transported. Firstly they need humanitarian aid. We should be very sensitive to this issue,” Cavusoglu added. 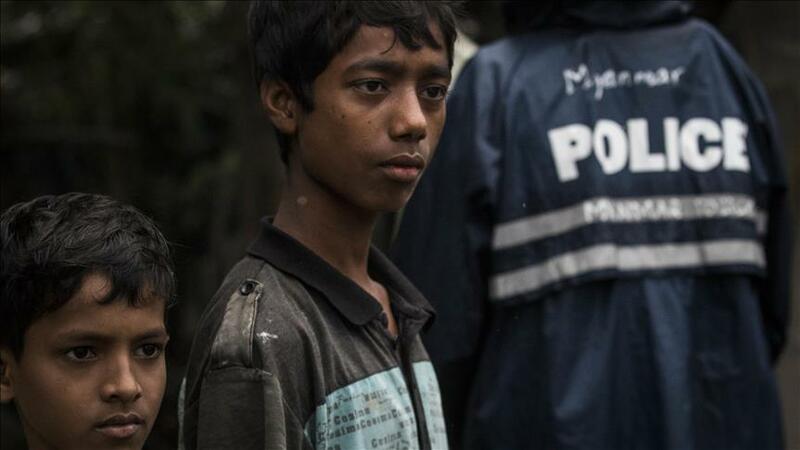 Myanmar, also known as Burma, has recently seen a wave of ethnic violence which has left scores of people dead and forced thousands more to flee their homes. Recalling his July visit to Rohingya Muslims during the Muslim holy month of Ramadan, the Turkish foreign minister said the OIC should play a pioneering role. Pointing out the importance of drawing the international community’s attention to the issue, Cavusoglu said the authorities in Myanmar should be encouraged to take steps to resolve outstanding problems. Turkey has sent around $13-million-worth of humanitarian aid to Myanmar since November 2012, Cavusoglu added.